This fun, two day Experimental Screenprint class will offer a crash course in silkscreen through Do-It-Yourself techniques. With an emphasis on printing, we’ll skip all-things-digital and jump right in with hand-drawn stencils and photograms. We will also discuss other alternative techniques, studio set-ups and trouble shoot long-term project ideas. During class, we will test print on alternative materials and students will leave ready to keep printing on paper or fabric in any studio, large or small. This playful class is great for beginners who want to get a little messy or need a refresher and want to learn to bend the basics. Expect to leave with lots of unique prints, a clear understanding of screenprint fundamentals and the confidence to keep printing. All levels welcome. Emily Gui is an experimental printmaker and multi-media artist who has been an artist in residence at Kala since 2015 when she moved to the Bay from New York. She works primarily in cyanotype and silkscreen. 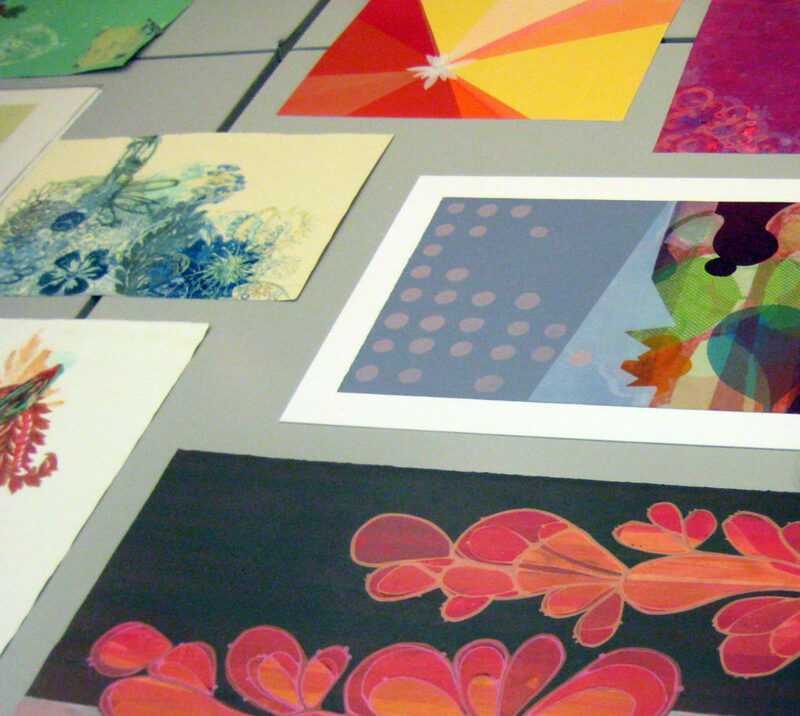 Her work often pushes the boundaries of traditional printmaking techniques. She studied printmaking and visual art at Bard College. In 2015, she was selected by the Print Club of New York to exhibit and speak and their annual Print Exhibition. She also exhibited at the International Print Center New York, BCB Gallery in Hudson, ArtBridge and had a solo installation at WayFarers in Brooklyn. She works as a teacher and textile artist and lives in San Francisco.